Members are under no obligation in selecting walks or attendance. Some prefer Saturday medium walks, rather than hard walks in the mountains over a full day. Others prefer the short local weekday walks. Some might attend about 80 percent of walks, others might get to just one walk a year. The choice is up to the member, and what they enjoy within their capacity. Some easier mid week walks. An occasional overnight walk camping out. A summer weekend in the high country, for example Mt Hotham. 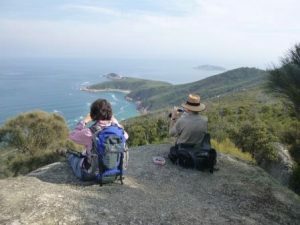 A walking week, for example in The Otways, Snowy Mountains or at Wilsons Prom. Social get-togethers for the Annual General Meeting Dinner, Christmas Party or Home gatherings after walks. Some members also attend the Bushwalking Victoria annual weekend of walks. Walks are selected quarterly. The final program is an attempt to offer a range of difficulty, of environments, of length and weekend or weekday walks. We usually organise two weekend walks per month. These walks often have both an Easy and a Medium, and often also a Hard Component, to cater for all types of walkers. Similarly we try to organise two mid-week walks per month to cater for those who do not work at these times. 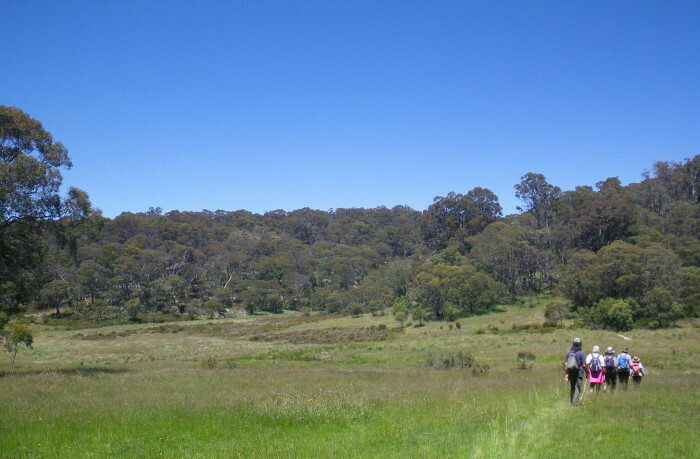 Often these walks are closer to Wangaratta, and are often more the Easy category of walks. The year usually commences with a weekend get-together at a Ski Lodge somewhere on the High Plains. This is a general introduction for new members, and a chance usually to avoid the heat present on the lower altitudes. We try to avoid walks into areas with only one exit/entrance due to the threat of bushfires. Walks are cancelled on Total Fire Ban days. Usually there are some walks at this time of the year in the High Country, and also at least one overnight walk. Our AGM is also held in this period, and is a well attended social gathering. In this autumn/early winter period, we again organise at least two weekend, and two midweek, walks per month. There is always a week away organised so that the club can explore a different area further away in Victoria, or into NSW or South Australia. Accommodation is usually together in the one ski lodge, or Caravan Park, with social get-together every evening. For winter/spring, we again organise at least two weekend, and two midweek, walks per month. With the onset of the colder weather there are fewer walks to the Alps, and more walks along the Murray, the Benalla area, Warby Ranges, Chiltern and Beechworth. We also organise at least one social event, with a guest speaker talking about some aspect of bushwalking, or about an interesting trip. With the onset of spring/summer, the walks often venture to areas with wildflowers, and an abundance of wildlife. Once again, we organise at least two weekend, and two midweek, walks per month. We venture back to the High Plains, and there are a number of extended walks in this area, as well as the easier walks around Wangaratta. Again there is a Social evening, with a talk about an interesting trip a member(s) may have experienced. We finish the year off with our Christmas Party.